Since 1982, we’ve built a thriving business based on our commitment to customer satisfaction. 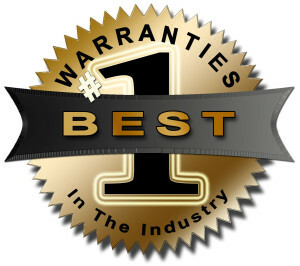 Our service guarantee is our promise that when you choose ComputerPro, your only regret will be that you did not do so sooner. One Hour Response Time – We will always respond to your service requests within one hour, or the service is free. Prompt Repairs – We know you can’t afford down time, so we provide fast remote and onsite troubleshooting and problem-solving of your hardware and software issues. Clear Communication – We don’t speak in tech language, we communicate in clear, user-friendly terms so you know what is going on. Budget Focused – When we agree on a price for a project, we stick to it so there won’t be hidden fees or surprises on our invoices. Leading Technology – We’re experts in applying to the latest and best technology to small- and mid-size business needs. Complete Customer Satisfaction – We always go the extra mile to exceed your expectations and prove that technology can be made easy, productive, and cost-efficient. In short, our service guarantee is that we will be the best IT consulting firm you’ve ever worked with. Between us, the ComputerPro tech team has more than 100 years of IT experience.